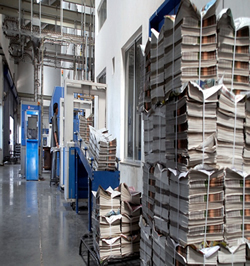 Sakal press is equipped with a high quality bindery which is capable of delivering consistent high quality and large volume jobs. 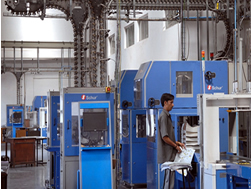 Our print finishing team is capable of adding value and executing complex jobs. Polar auto cutting machine 52" – 1 no. Seypa auto cutting machine 52" - 1 no. Hi – cut auto cutting machine 40" - 3 nos. 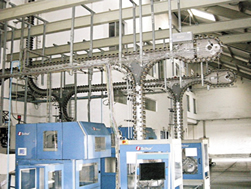 6 clamp perfect binding machine – Welbound make 2 nos. 4 fold folding machine – Welbound make 2 nos. Sadana, Ackmay make 15 nos. Robertson section sewing machine - 1 no. Section sewing – Kalsi semi automatic machine 2 nos. On-line Band-A-Matic strapping machines 15 nos.